Nevada gaming revenue is down and casinos don’t hear the cha ching bells in the halls. The current national economy has affected the bottom line of casinos in Las Vegas, NV. Many Americans have cut their discretionary income and gambling in Las Vegas for the last four months of 2008. April 2008 Nevada casino revenues were $55.1 million, a decline of 3.5 percent from year to date figures. Gaming taxes collected by the state were decreased 4 percent for the first 11 months at $707.8 million. More than half of last year’s gaming tax collections declined from the previous year’s figures. The hotel casinos in Nevada raked in over $1 billion. Can you believe that is a 5.05 percent decrease of April 2007? Not since the terror attacks has the gaming revenue seen such declines. For the past five years April was the third-largest single-month decline in Nevada gaming revenues. The one arm bandits during April brought in $10.5 billion, or a 7.6 percent decline year to date. Total gaming revenues for casinos on the Las Vegas Strip totaled $524.1 million, or a slight 1.28 percent decline year to date. Clark County gaming revenues declined 4.8 percent. Gaming revenues fell 12.2 percent on the Boulder Strip, 22.4 percent in North Las Vegas and a big decline of 34.6 percent in Mesquite. 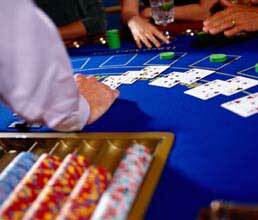 Nevada gaming revenue down and casinos don’t hear cha ching bells.